Change Your Homepage Look with a Single Click! Are you proud of being British? Or are you just interested in British news and other information related to this island country? Select this special design and make your online home British, read BBC news, track British weather and other information that you prefer. You can access our Themes collection by clicking on the Pick a Theme link in the middle of your homepage. 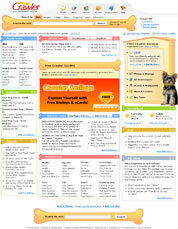 Here you can set a theme permanently, or you can just visit your homepage on custom domains such as dogs.crawler.com or uk.icrawler.com and enjoy the theme temporarily. This way you can easily change your homepage theme anytime you want. 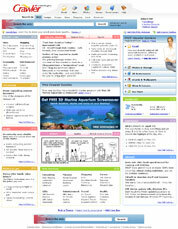 We will soon extend our offer of themes for your Crawler.com Homepage. If you have a Theme suggestion for Crawler.com Homepage that might be of interest to other Crawler.com users, please share it with us by sending an email to .